A Woman’s Guide to Enjoying Wealth and Power! The Seven Pearls of Financial Wisdom offers women one invaluable pearl of wisdom for each of these key areas, helping them move beyond outdated financial-planning ideas to enjoy their power, transforming both their money and their lives. 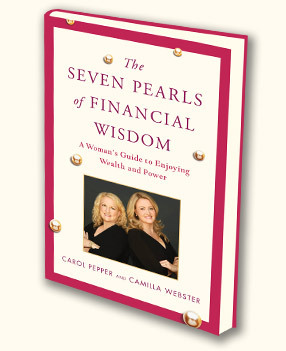 The Seven Pearls of Financial Wisdom is proud to be included on the Library Journal's Best Business Books 2012 list. Leslie Bennetts, Author of The Feminine Mistake: Are We Giving Up Too Much? Natalie MacNeil, Founder and Editor-in-Chief, She Takes on the World Inc.